The Design Lab is The MakerSpace programming arm. It provides NYU students with opportunities to ideate, experiment, prototype, and build their ideas. It cultivates collaboration, nurtures students' creative confidence and encourages collaboration and connects them with other parts of the NYU Innovation and Entrepreneurship ecosystem. 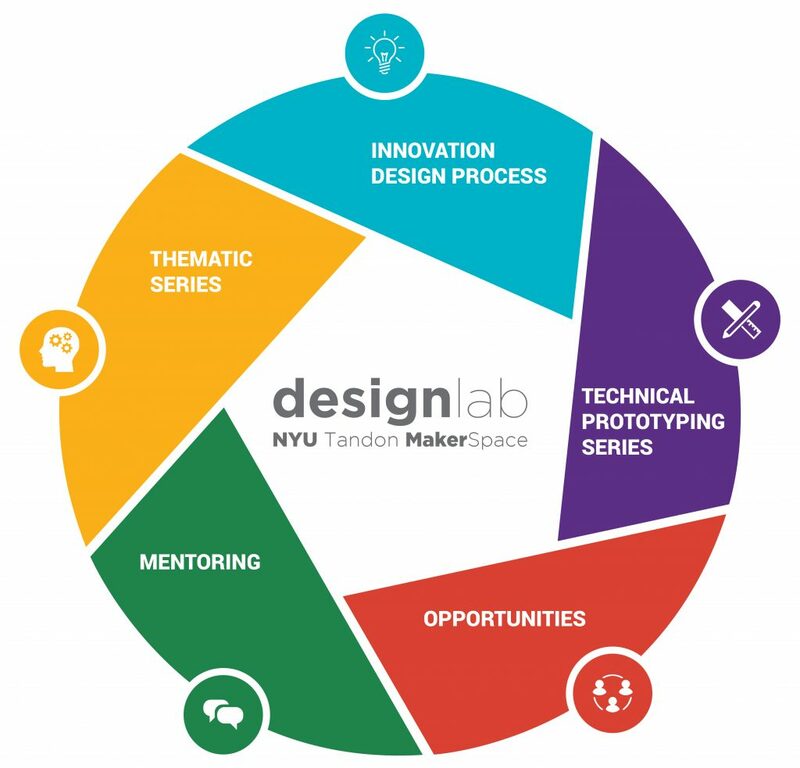 The Design Lab at NYU Tandon MakerSpace fosters a community of creative technologists, critical thinkers, and social innovators. The Design Lab is managed by 2 graduate students, the Design Lab Coordinators, who are trained in design thinking and work with Anne-Laure Fayard, Associate Professor of Technology Management and Innovation, Faculty Advisor to the MakerSpace and Victoria Bill, MakerSpace Manager. If you have an idea for a new project, if you want to learn more about design thinking or prototyping, check our programming and / or contact our two Design Lab Coordinators - Cherisha and Raksha. If you are a student club leader, talk to us to reserve the space for events.